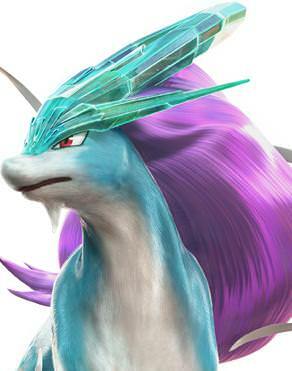 Suicune is my personal favorite of the Legendary dogs. I really just love how it looks and its has the great balance between nobility and edgyness that make it a standout even amongst the Legendarys. It is likely for this reason that Suicune was chosen to be the mascot on the cover of Pokemon Crystal. 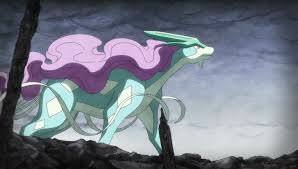 Suicune is part of the trio of the Legendary Pokemon dogs with the others being Entei and Raikou. The Legendary dogs are closely tied to the mythos of the Legendary bird Ho-Oh. Ho-Oh is said to have resurrected the Legendary dogs when the mystical Brass Tower was burned down. It is said only Ho-Oh can stop a battle between the three Legendary Dogs. 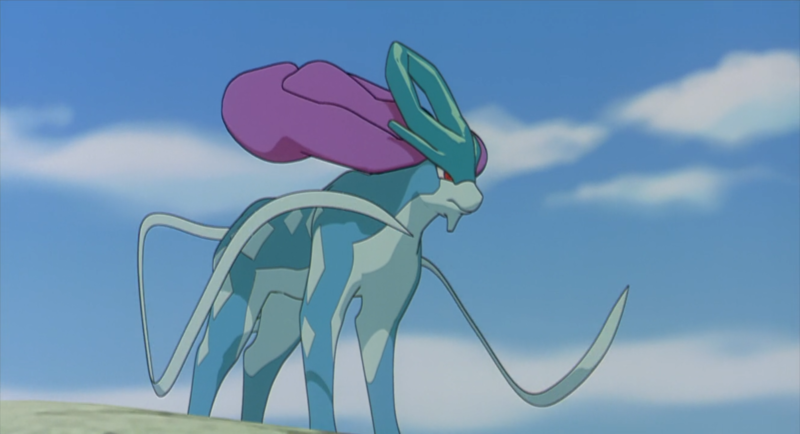 Suicune is considered closest to Ho-Oh's noble spirit. It can do amazing things like walk on water and purify polluted water. One mystery about Suicune is that it is rumored to have a connection with mysterious pokemon Unown. This has not been elaborated on in lore and remains a mystery. Suicune makes only a few appearances in the Anime show but is heavily shown in the 4th Pokemon film Celebi: Voice of the Forest where it battles a Dark Celebi. As a Legendary Pokemon Go Suicune is battled in Raids and has extremely high CP. Toylab is a member of the Amazon Affiliate Program and can bring fun products and a great price directly from Amazon. There are not many Suicine toys perse but there are some great Pokemon toys out there. You can also find Pokemon gifts at Walmart, Target, Walgreens, CVS and ToysRus. There were many rumors early on in Pokemon Go on ways to catch Legendary Pokemon. One rumor was that they were hard to reach areas like on top of Mount Everest or inside of Area 51. These rumors are NOT true. Legendary Pokemon like Suicune can be caught when you battle in a Legendary Raid. A raid will appear with a 5 Rydon symbol that denotes a Legendary Raid. Once the Raid pokemon appears it will be one of the Legendary Pokemon, if it is Suicune then this is your chance to battle it and catch it. If you successfully beat Suicune you will then get an opportunity to catch it. To beat Suicune you will need to make a team of multiple people to help you. No matter how powerful you think you are, the Legendary Pokemon in Raids are very powerful (Very high CP) and require a large group of people with high level Pokemon. Running across the top of a crystal clear lake comes the graceful Suicune. So in awe are you at the sight that barely notice its jaws open in a snarl. Its time to do battle against this glorious but highly powerful Legendary Pokemon! Alright strategy time well lets start with this Suicune is a Water type hybrid pokemon. Grass and Electric Pokemon work well against Water Pokemon. Note: While recommended using a Golem for all the Legendary Birds this is not true for Suicune. Do not use Golem vs Suicune, Suicune will stomp it flat. Jolteon (Electric Moves) - Do to how common Jolteon is this would be my go to Pokemon vs Suicune as most trainer have at least one powerful Jolteon. Most of the moves of Suicune are water based so defensively having an Electric or Grass type is still recommended. 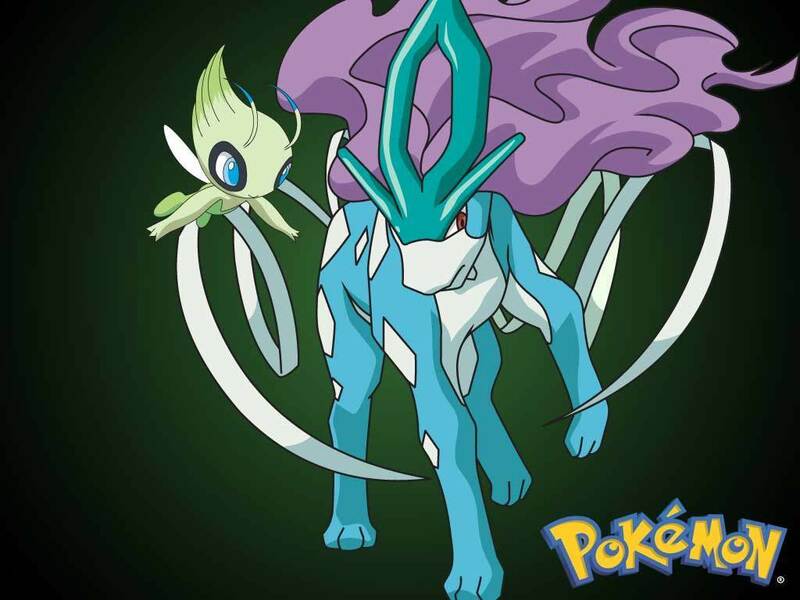 As with all Legendary/ Raid Bosses you will want to try to avoid Suicune's special attacks. Here are some AWESOME pictures of Suicune we found. Enjoy the wonder of this amazing Pokemon!